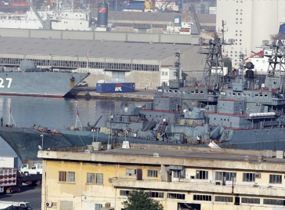 The port of Beirut is filled to the brim with foreign warships. 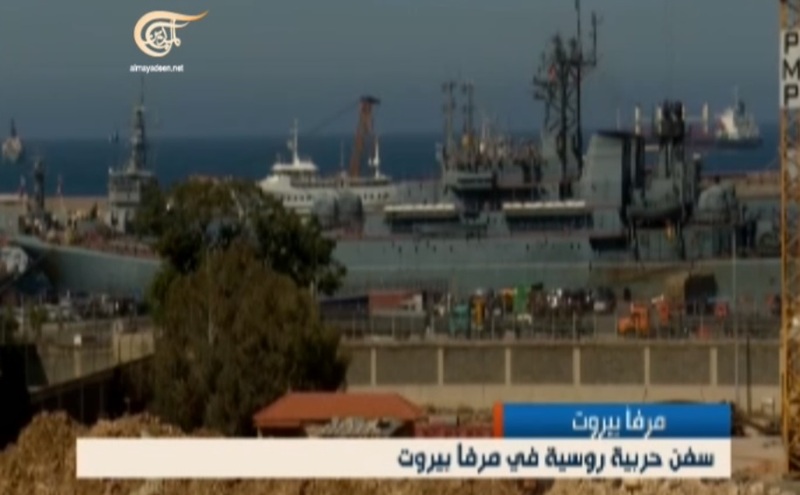 According to Lebanese almayadeen TV there are three Russian warships in Beirut. The Ropucha class, large landing ships Kaliningrad, Alexander Shabalin and Neustrashimy class frigate Yaruslav Mudryy. All three warships belong to the Russian Baltic Fleet and are conducting a 3 day port visit. When they leave they will head to Tartus Syria. 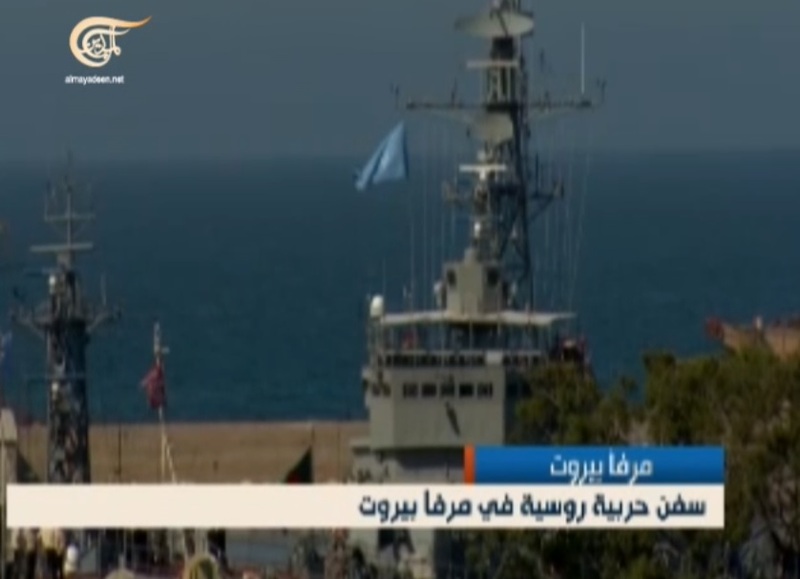 What the announcer on the TV fails to tell but is visible on the clip is the fourth warship in the background. This is the Bangladeshi frigate Osman. She is part of the UNIFIL. The Blue UN flag on the main mast and the Bangladeshi flag in the jack staff clearly distinguishes her from the Russians. And here is the photo of Yaruslav Mudryy. And this is the clip from the Lebanese Almayadeen TV.